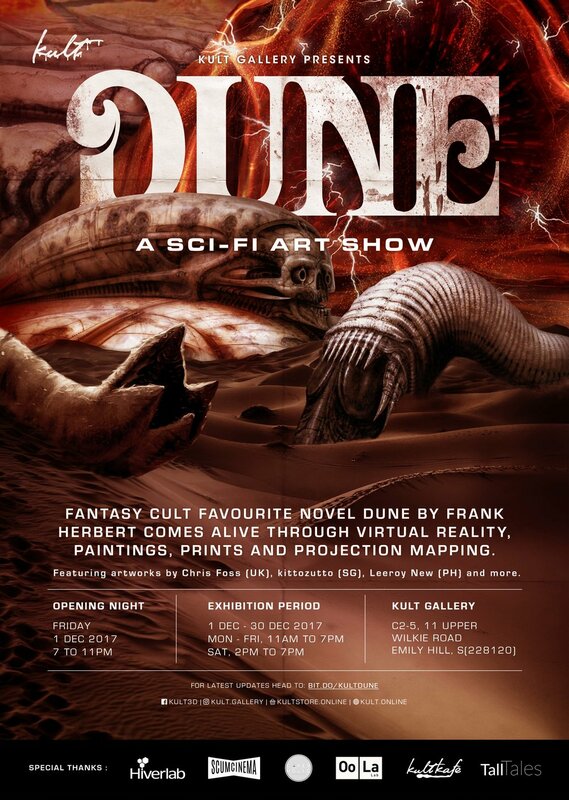 December 2017 | Inspired by the sci-fi novel and cult favourite Dune by Frank Herbert, Kult Gallery was transformed into the planet Arrakis during from 1 to 31 Dec 2017. 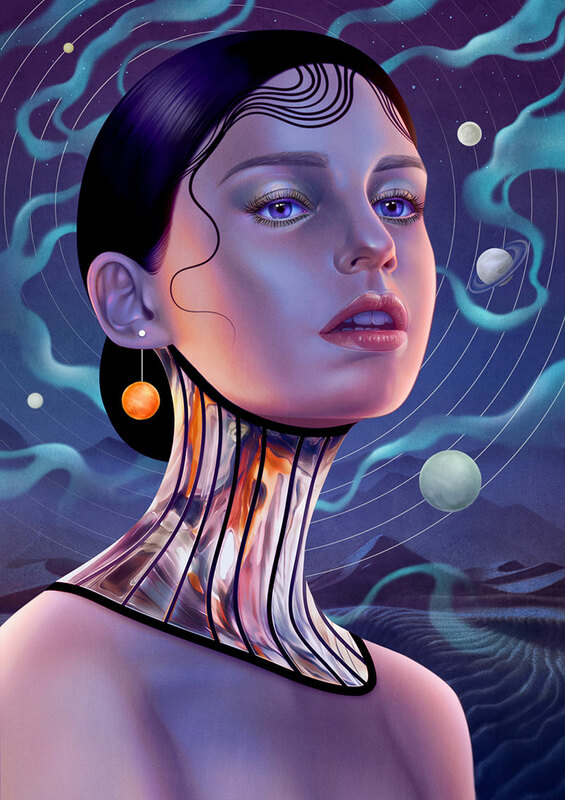 Singaporean art fans and sci-fi buffs were treated to the expansive, galaxy-traversing world of Dune through the works of over 15 artists across disciplines. This included local and international artists Chris Foss (UK), whom contributed to Jodorowsky’s Dune, kittozutto (SG), Howie Kim (SG), and Six Degrees of Freedom (SG), among others. The art included prints, intricate sculptures and even virtual reality experiences. 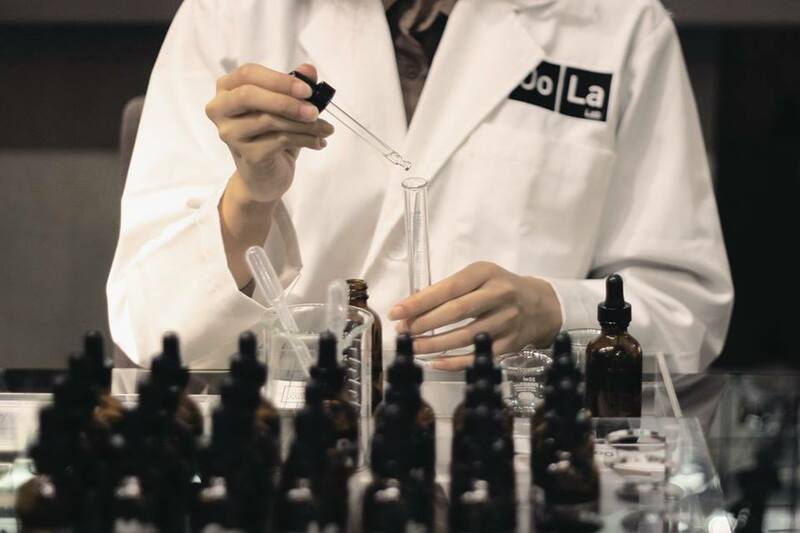 To further enchance the Dune experience, fragrance designer Oo La Lab (right) also cooked up their interpretation of smells of the desert planet of Arrakis. The opening night also saw other treats from local baker Cakerholic (left) who whipped up ‘spice’-inspired cakes, and Kult Kafe concocting the tipple ‘Outer Spice”. Apart from Dune-inspired art, guests were also encouraged to attend fringe events Over Pizza & Beer: Sci-fi and Drinks on Dune. We invited a panel of creatives to discuss the process of conceiving science fiction universes over pizza and pints. It was an intimate and inclusive discussion where attendees were also given an opportunity to speak their thoughts and have their questions answered by industry professionals. We held a special screening of the acclaimed documentary, Jodorowsky’s Dune, together with B-movie connoisseurs SCUM Cinema. Attendees found out more about the greatest sci-fi movie never made while sipping on Outer Spice by Kult Kafe. The event was sponsored by upcoming independent book store The Moon, who also curated a collection of tomes related to the exhibition. October 2017 | The alternative Halloween experience set within the eerie compounds of Emily Hill’s oldest colonial house was an attempt to veer clear of the gory scarefest and ghoulish dress-ups typical to Halloween. Paying homage to previous Kult Magazine issues Fear and Superstition, the compound was peppered with references to phobias and old wives’ tales. Guests were invited to wander through a meandering walk-through in the house designed by us to disgust, distress, and unsettle. Left to Right: Dj Shellsuit and Kult Kafe's "The Twisted Childhood"
At the end of the walk-through, guests found themselves on the dancefloor where they were welcomed by DJ Shellsuit and Stew Bamrah’s hauntingly good tunes. 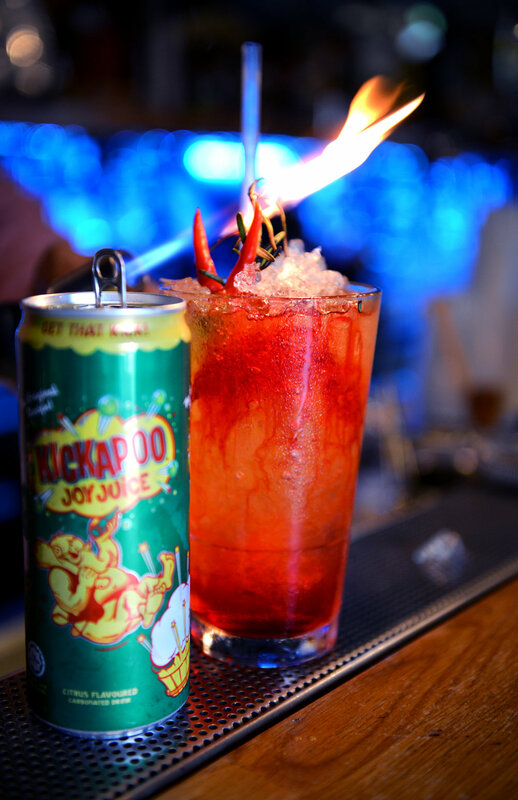 Kult Kafe also created “The Twisted Childhood” for the night, a special cocktail concoction made up of the guest’s choice of spirit, Kickapoo, citrus and homemade grenadine syrup. July 2017 | Kult Gallery presented the first of its From the Streets series Pusakal: From the Streets of the Philippines showcased the evolution of expression happening in the Philippines currently through the works of over 20 Filipino artists. From Manila to lesser known cities in the islands of Visayas and Mindanao, the artworks are bold in their satirical references to society and advertising, and draw attention to the distinctive characteristics of each city. The metaphor of the ‘pusakal’ (stray cat in Tagalog) captures the spirit of the urban art scene in the Philippines. Like the wandering feline, the ongoing conversation about street art is the environment it should exist in - being either the public or domestic sphere, and whether or not the masses should be responsible for its nurture. The gallery worked closely with Filipino artist Anjo Bolardo to bring together a varied spectrum of work that has never been shown in Singapore. The lineup includes not just notable names such as graffiti writer Janot and visual artist Kidlat, but also up-and-coming, fresh and playful talent like Auggie Fontanilla and Quatro who constantly surprise with their paint and embroidery techniques. Electrolychee’s books and zines about jeepney art in the Philippines were also for sale. Stories told through the ubiquitous mode of transport and its colourful religious imagery are put together in a commemorative publication entitled Biyaheng Langit, while its follow-up zine, Paradise is Very Nice pays homage to images of sunrise and sunset on jeepneys. For the ones looking to wear their Filipino pride on their sleeves, Kult also produced a limited edition tee for the exhibition. The tee is a satirical take of an iconic Filipino brand and is available at the Kult Store. 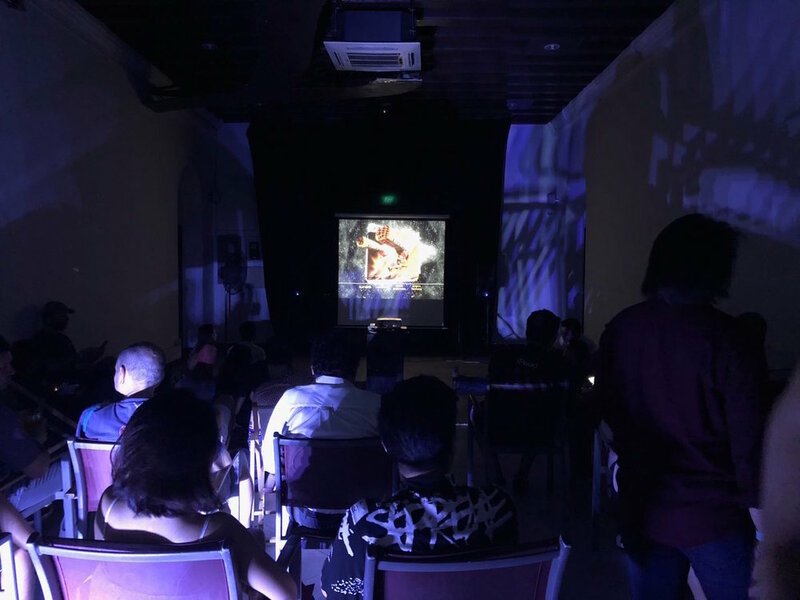 June 2017, Kult Gallery, Singapore | Sungei Uncle was a collaborative exhibition by Kult Gallery and local storytelling platform, Our Grandfather Story. It presented artists’ and photographers’ impressions of the iconic Sungei Road Thieves’ Market and brought a little part of the market inside a gallery setting from 3 - 10 June 2017. A week before the exhibition launched, the gallery initiated an art walk at the Thieves’ Market with 15 selected artists, and facilitated the making of several artworks on location. All artworks were created on cardboard and newspaper surfaces, simply to mimic the experience of taking a piece of the market and leaving one’s impression of the market on it. Some artists purchased items from the market to create their works, while others used a variety of mediums including charcoal, tape, cloth, acrylic paint and markers to complete their works. 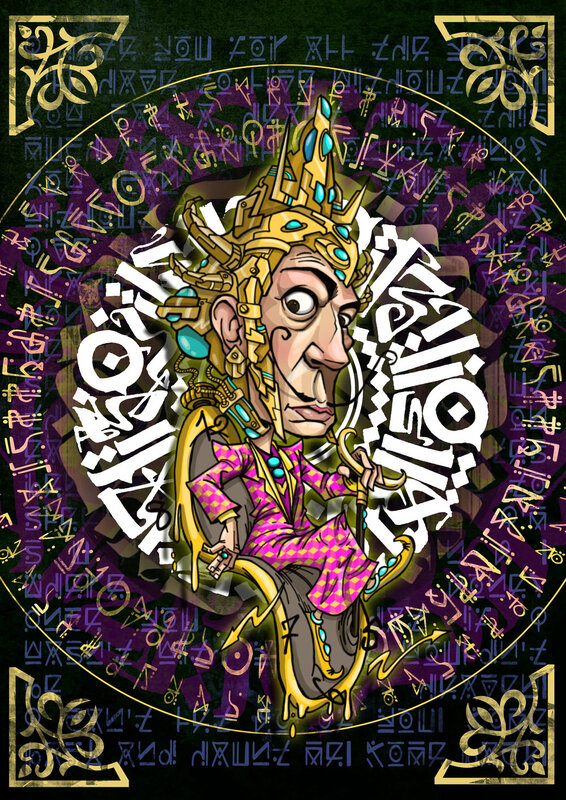 Zim, an artist drawn to installation art and also a regular at the Thieves’ Market, created Old Roads, Old Gods using items purchased at the market for a total of SGD 5. Through his piece, he comments that the sellers at the market are Gods of Fortune, and being in the market, we are in their temple, surrounded by a shrine of their treasures. During the exhibition, the gallery floors were lined with tarps, and artwork and photographs were placed in a manner that imitated the display at the market. By dispersing vintage display items along with the artwork on sale, the exhibition encouraged the spirit of “digging”, or finding items and images that speak to your own individual. The gallery also compiled all artworks into a zine as part of this exhibition and launched it during the exhibition for SGD 5 each. The zine is available in a limited edition of 50 on the Kult Store.